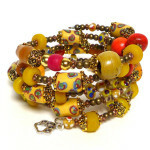 The FAQs page covers Q&A about bracelets, beads, fundraising, etc. If you don’t see your question answered, please contact us. How much do the bracelets cost? Bracelets cost $20/each (no tax). 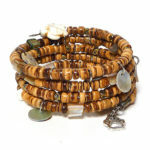 You can view a representation of bracelets online via Etsy. 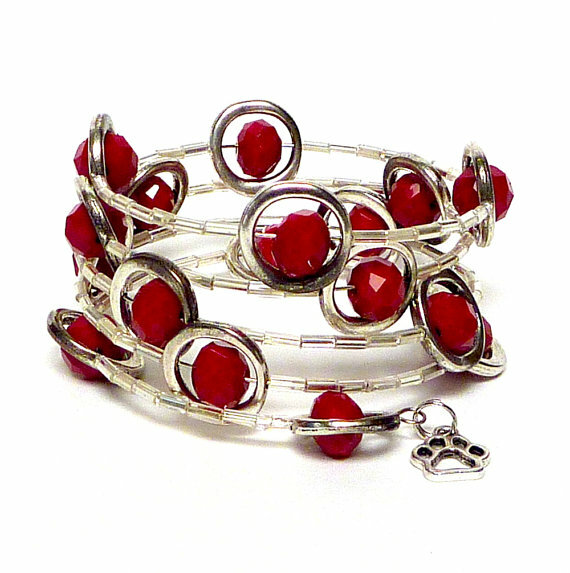 Every beaded bracelet is one-of-a-kind, handcrafted, made from donated beads and comes with a dangling paw charm. Each bracelet is made of light weight coiled memory wire (like a Slinky) for easy on and off, one size fits most. 90% or $18 of every sale for in-store or online sales is donated to the charity of the month. Where can I buy bracelets? You can buy the bracelets online via Etsy.com; there is a shipping & handling charge which automatically appears on Etsy before you pay. We also ship internationally. 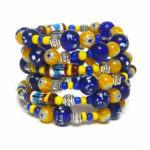 The local designated charity of the month may also have bracelets to sell during their month as fundraising recipient. Who makes the bracelets? The Beading Divas and numerous volunteers make bracelets. We also have some artistically-inclined people who bead for the joy of it on their own then donate their bracelets to us. What kinds of beads can be donated? 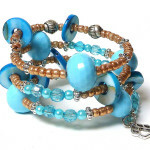 A vast assortment of beads – wooden, metal, metallic, painted, clay, glass, ceramic, Lucite, gemstones, pearls, rhinestones, crystals, colorful, clear, neutral, fillers, fiber, mesmerizing, funny, designer, sparkly, artful, spooky, natural, handcrafted, high quality plastic, funky, stones, larger seeds, charms, have holes, etc. Please no Mardi Gras beads (they cannot be restrung). Any beads that we cannot use are donated elsewhere. 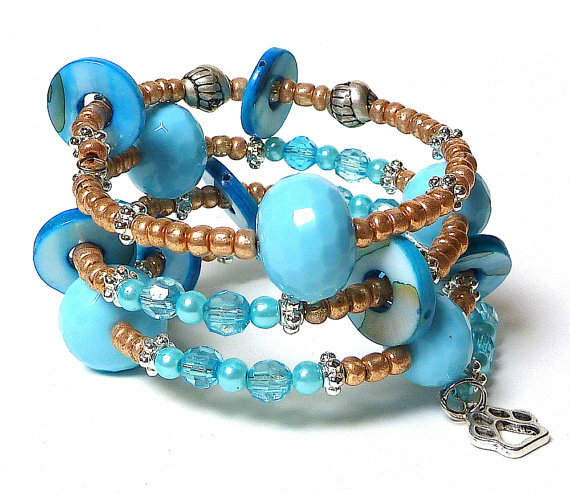 We also accept beaded jewelry and other jewelry that can be taken apart and reused or up-cycled as well as fabric or satin ribbon that can go thru a hole-punch as we attach our card to the bracelet. Please read our BEADS page for more info about beads. Do you provide a donation receipt? Yes, upon request one will be emailed to you. How do you choose your fundraising recipients? Every month Beading Divas to the Rescue chooses a different animal charity. Please view the ABOUT page to see who has been chosen in the past. Our niche is animal related charities that have a 501c3 designation. Currently, there are six Beading Divas at the helm and each can choose a charity on her birthday month. The rest of the months, majority rules. Can I nominate an animal charity? Yes, please send us an email and put “Beading Divas” in the subject. Don’t write in all caps. Your charity will go into a consideration pool; this does not imply that your group will be chosen. How much money can my charity raise? There seems to be a big range in funds raised monthly. Why? That depends on you and how well you promote the bracelets. The more you can promote to a new audience/your audience, the better. We ask for 2 or 3 stories with photos to post on our blog and Facebook page. If you don’t give us content, we are at a loss. The more we see you promoting the bracelets on your website AND social media — the more excited we are to promote you. We do not guarantee a minimum. The average seems to be from $1,200 – $1,800 but some small groups really ran wild with the opportunity. For example, in 2017 Cherished Tails Senior Sanctuary raised $2,499. Woof! Does the charity get the entire $20? For online sales via Etsy and cash sales by the Beading Divas at the venues that sell our bracelets, the charity receives 90% of sales or $18 for every bracelet sold. For bracelets that the charity sells one-to-one or for checks made payable to the charity (for bracelet sales/donations), the entire amount is given to the charity. How much money has Beading Divas Bracelets raised so far? Please scroll down our ABOUT page as the amount changes every month. How can you afford to do this? Donated beads!